Roughly 10 percent of Americans between 16 and 64 are disabled, according to the U.S. Census' 2009 data. That's not even counting military personnel or people in prisons or nursing homes. The disabled include blind Americans, people with mental disabilities and Americans who are just too physically limited to care for themselves. If you're among the disabled, there are several tax breaks available to you. If you receive disability benefits, you may not have to include them when you report taxable income on your 1040. Any disability benefits you get from the Veterans Administration are tax-free and so are Supplemental Security benefits. Social Security disability is only taxable if you do certain calculations and exceed the IRS limits. You must typically calculate half your benefits, and add this figure to your adjusted gross income and to the amounts of certain other tax benefits. On a joint return as of 2013, the limit -- counting your spouse's income -- is $32,000. If you itemize deductions, you can write off your medical bills after subtracting 10 percent of your adjusted gross income from them. Deductible expenses include crutches, wheelchairs -- both buying and maintaining them -- and any prescription drugs you need. If you have to remodel your home to keep it livable - adding wheelchair ramps, grab bars or widening the doorways -- those expenses are part of your write-off. Braille books, hearing aids and service dogs are also valid write-offs if they help you adapt to life. If you receive any taxable disability income, you may qualify for the Credit for the Elderly and Disabled. If you're filing a joint return and your spouse is fully abled, your joint AGI has to be under $20,000 to qualify. Depending on your circumstances, you may get to wipe up to $7,500 off your tax bill. If the credit is more than your tax bill, you don't get a bigger refund. You may also qualify for other credits, such as the Earned Income Tax Credit. 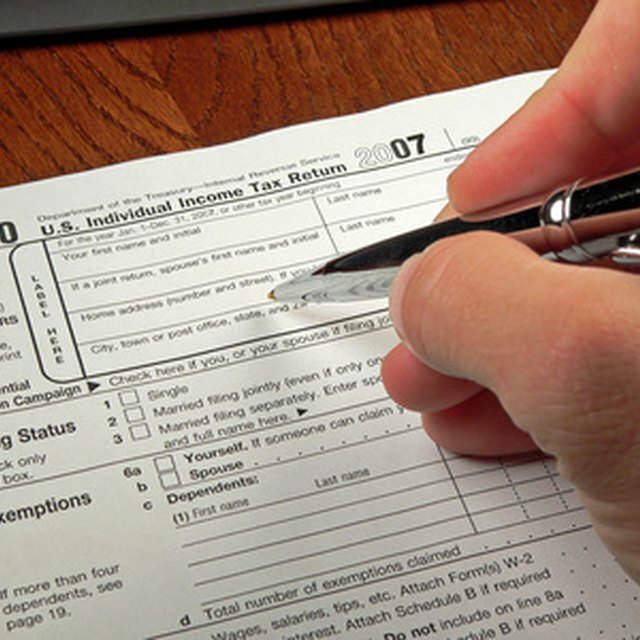 What Can You Write Off on Your Taxes for Dance Classes? If you need assistance or special equipment to work, the costs are deductible. This can be anything from an assistant to read typed reports you can't see or a taxi service to drive you to the office. You deduct the costs on Schedule C if you're self-employed or as an unreimbursed employee expense on Schedule A. If the equipment or help is specifically covered under other tax deductions, you write the costs off there -- the work-expense deduction is the last-ditch option if the expenses are not deductible elsewhere.